It took me a few weeks, but I found it! 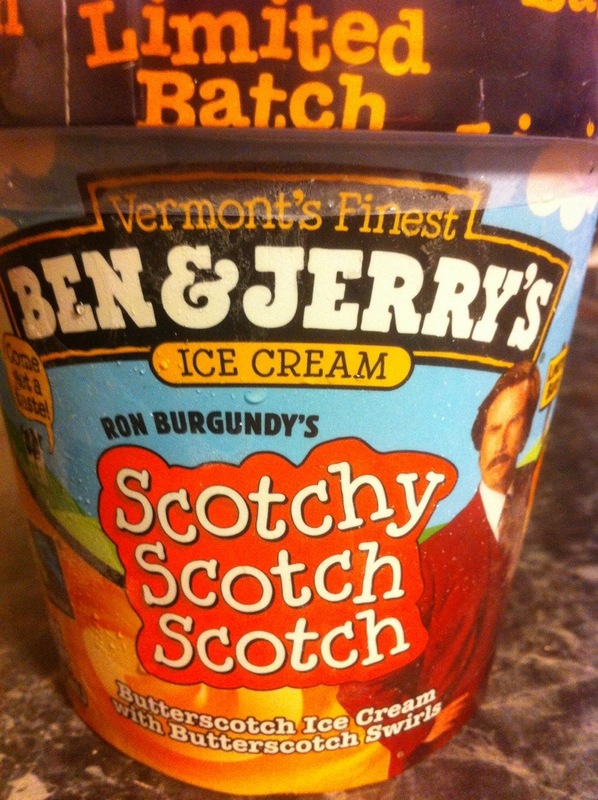 Say hello to Ben and Jerry’s newest limited batch of “Ron Burgandy’s Scotchy, Scotch, Scotch”! 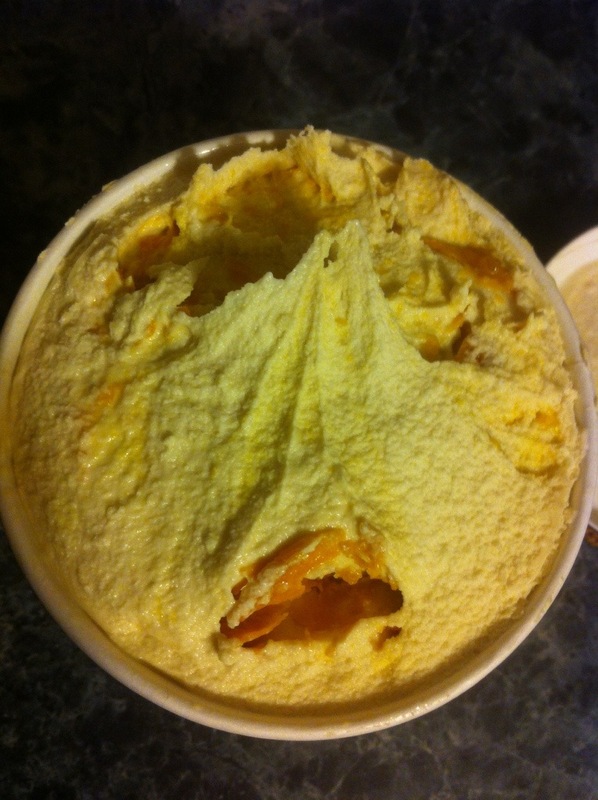 So what does this ice cream taste like? Amazingness, that’s what it tastes like. I don’t know how Ben and Jerry’s does it, but their ice cream flavors are always just the right balance and ratio of ice cream to whichever other ingredients are included. 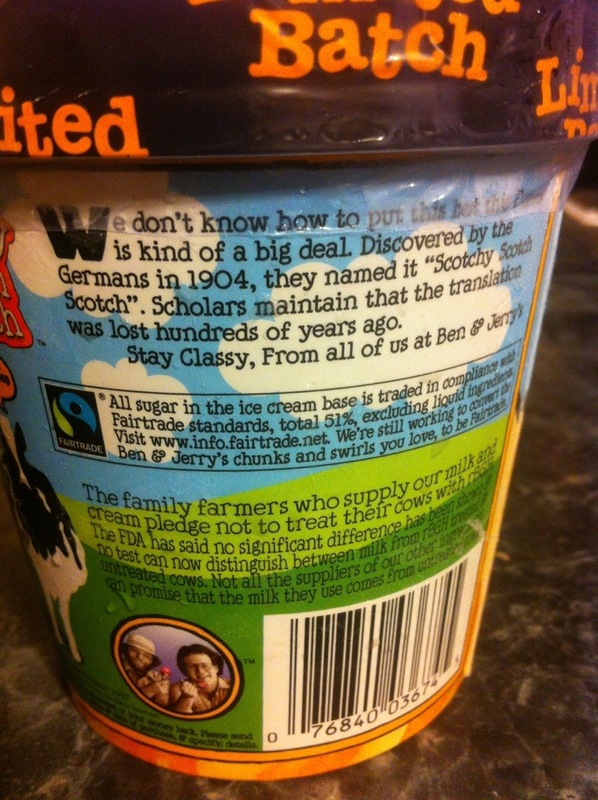 Scotchy, Scotch, Scotch is made of butterscotch ice cream and spread throughout the smooth ice cream are bands of butterscotch. 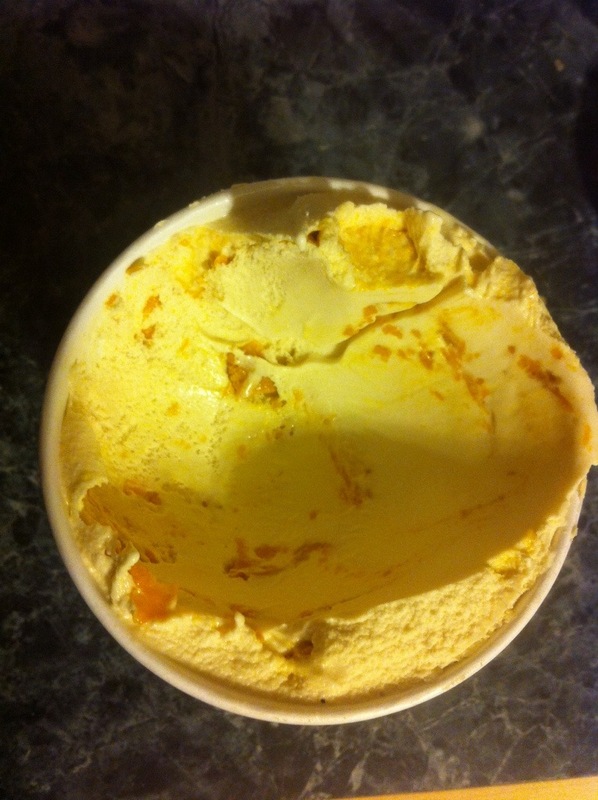 As you can see in the photos above and below, the butterscotch swirled into the butterscotch ice cream is not overwhelming. 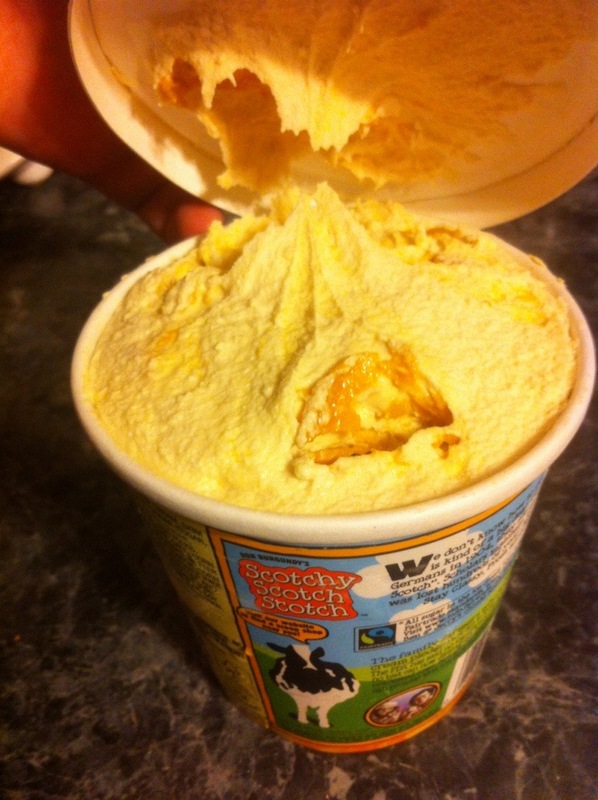 When I first opened the container I must admit I was a little concerned there wouldn’t be enough butterscotch swirl, but then I reminded myself that this was Ben and Jerry’s and they never disappoint. 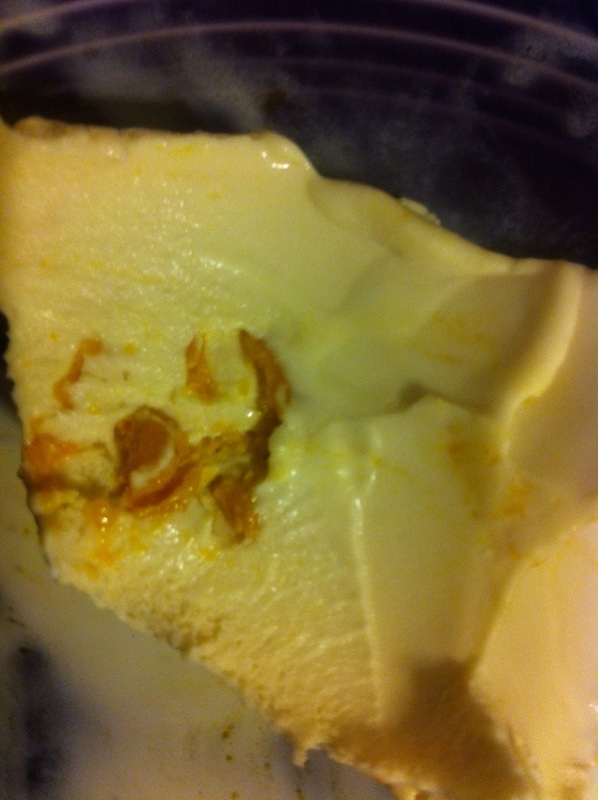 I should add that I am not a huge butterscotch fan and I really like this ice cream. 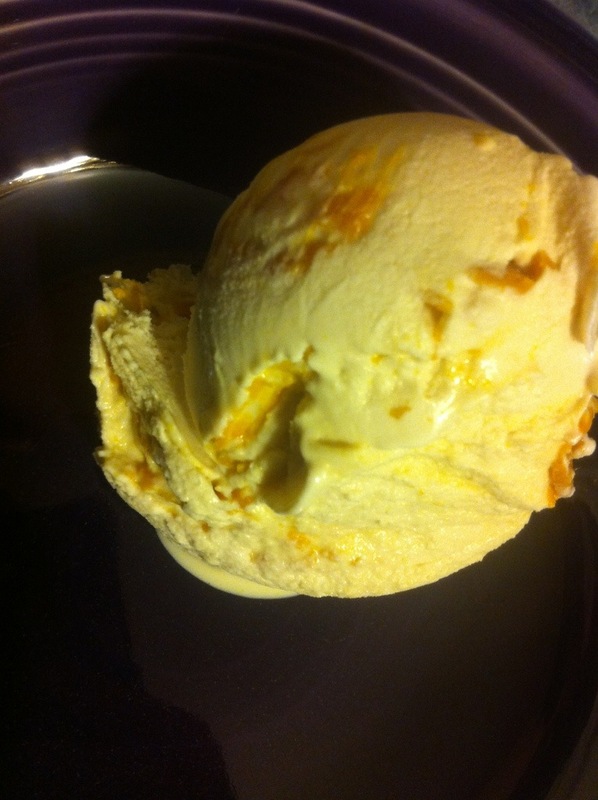 I love an occasional butterscotch candy, my grandmother always kept then in her purse and around her home, but it’s not the first thing I usually order for dessert. 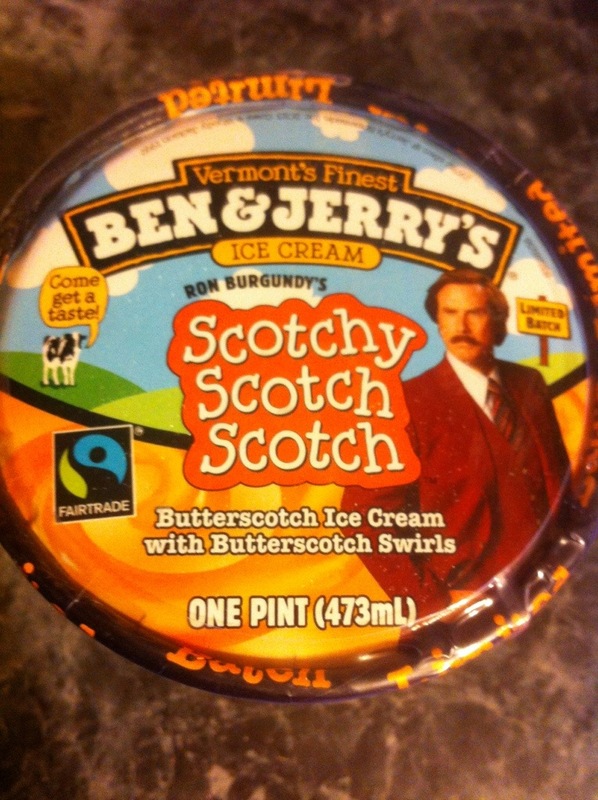 In other words, all of you diehard butterscotch fans need to get to your nearest grocery store and look for this limited batch ASAP before it’s gone.